Happy Pi Day (Eve) 3.13, 10:30! 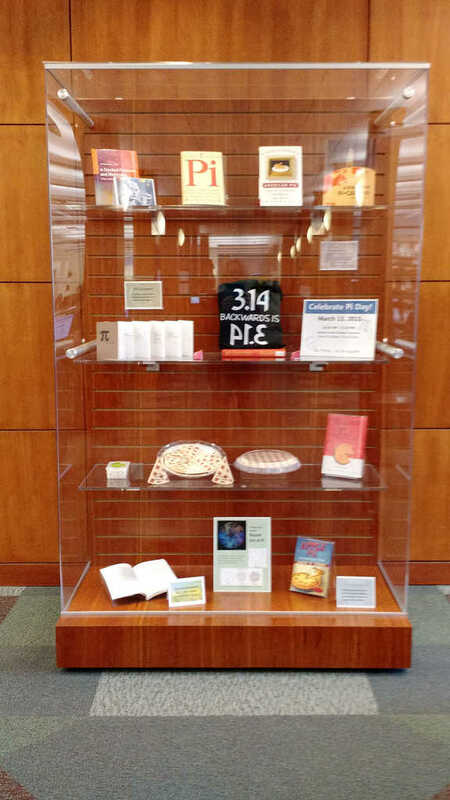 We gather and celebrate Pi Day (Eve) on Friday, March 13 at 10:30 AM-12:30 PM in front of the Lichtenberger Engineering Library in the Student Commons. There will be free apple pie bites, lemonade, and coffee as well as trivia competitions! Pi, Greek letter, is defined as a constant — the ratio of the circumference of a circle to its diameter – which is approximately 3.141592653. The first Pi Day was “invented” in 1988 by Larry Shaw, who worked in the electronics group at San Francisco Exploratorium. In 2009, the House of Representatives designated March 14 as National Pi Day. This year, we are excited to observe the special Pi Day on 3/14/15 at 9:26:53 AM and PM, with the sequential time representing the first ten digits of pi! 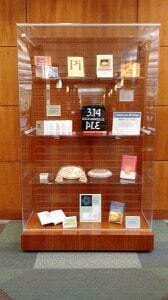 To celebrate this special Pi Day, check out the Pi Day exhibit and join us on March 13!